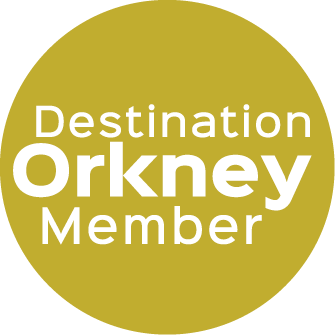 Handmade in Orkney products from over 70 local artisans, including beautiful Harris Tweed products handmade on the premises. You can see Fiona at work in her adjoining workshop while you browse the most comprehensive range of locally handmade products you will find. Pick your own fabric and have your own product made to order to add that special touch. Born and brought up in Orkney, Fiona moved to the Isle of Harris in 2001 and set up business with a small Shop/ workshop in Tarbert where her products grew in popularity and demand showed there was a market for them all over Scotland and beyond. A growing family back home in Orkney brought her back here in 2009 where she worked mainly in wholesale till 2014. The move to new premises in 2013 gave Fiona the scope to expand and move back into retail and the history of the house makes it the ideal setting for her. Castaway Crafts new shop is set in what was once the home and workplace of Jack Tait, the last tailor in Orkney who retired in the mid 60's. The shop/ workshop and house was built in the mid 1800's by his father John E,W Tait who was also a tailor and the business was established for around 80 years before it then in the next generation, still in the Tait family, became a post office and latterly domestic residence. Jack employed 14 folk at one time in the workshop Fiona now uses and some of his tools are on display there alongside some photographs of the staff and Jack himself. The growing popularity of Harris Tweed in the last few years has seen the business grow and Fiona now sells worldwide, with her most popular products being the Kilt style shoulder bags and coin purses in various designs.